Slow cooker season has arrived, and we couldn’t be more excited to dust off our Crockpots and whip up some vegetarian slow cooker recipes. Whether you’re a slow cooker newbie or have been using the “set it and forget it” technique for years, fall is a great time to get reacquainted with this cooking tool and to try some new veggie slow cooker recipes you’ve been eyeing. The best part? 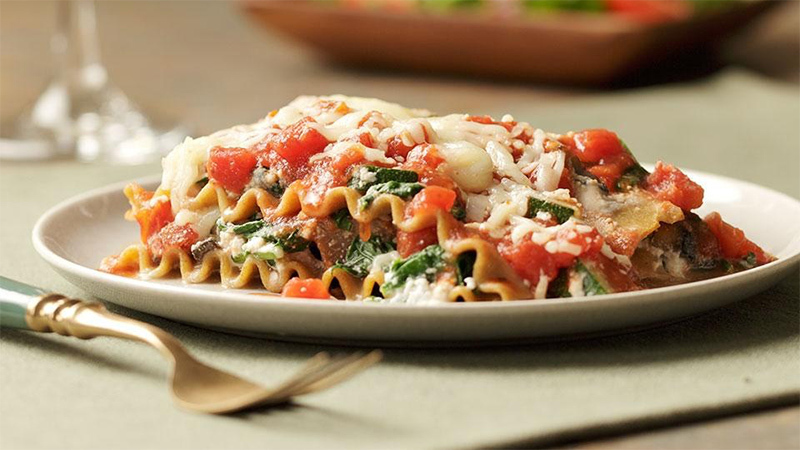 You’ll have healthy, hearty meals waiting for you when you get home, and plenty of tasty leftovers you can eat throughout the week. While meat is often used as a base of slow cooker recipes, there are plenty of slow cooker vegetarian recipes to choose from. Here are nine of our favorite veggie slow cooker recipes for potlucks, special occasions, family dinners and more. These meatless slow cooker recipes are going to be on your family’s most-requested list this fall and winter. 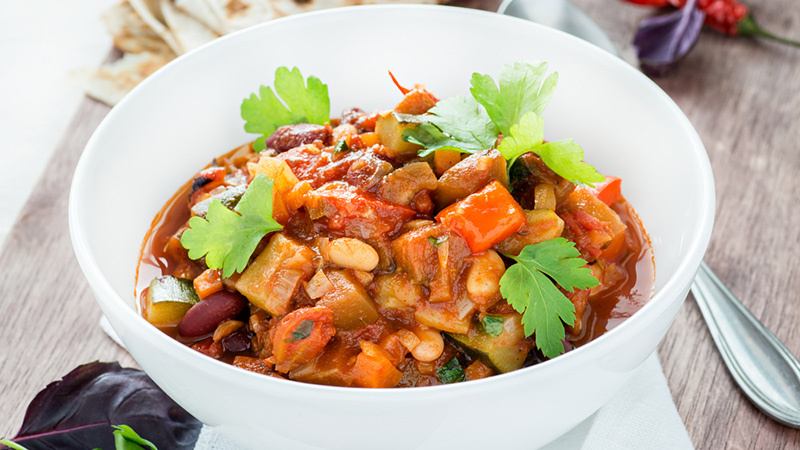 This slow cooker vegetarian recipe is great for those cold, miserable days. 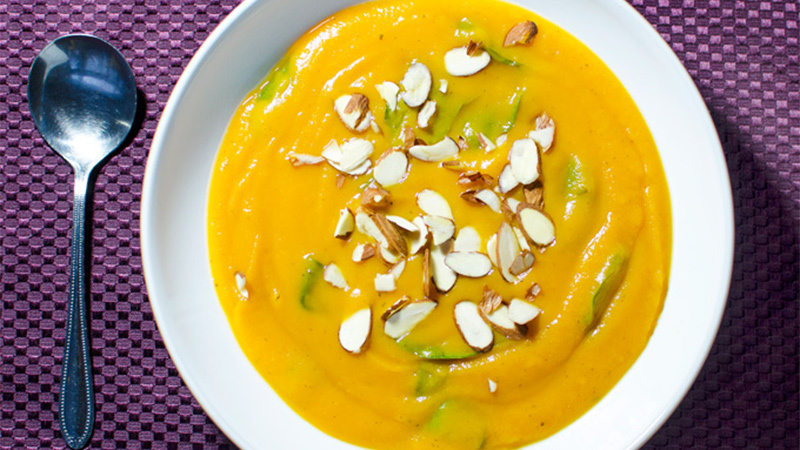 The star of this dish is healthy sweet potatoes, which will keep you feeling full. Spinach, tarragon, garlic and almonds are just a few of the super-healthy ingredients that go into this simple yet delicious veggie slow cooker dish. Get the recipe. New York is the home of the salt potato, a.k.a., a young potato slathered in yummy salt and butter. You may not have considered cooking potatoes in the slow cooker, but it’s a great technique for when you’re craving these starchy veggies and don’t have time to wait for them to bake in the oven. (It only takes 10 to 20 minutes!). 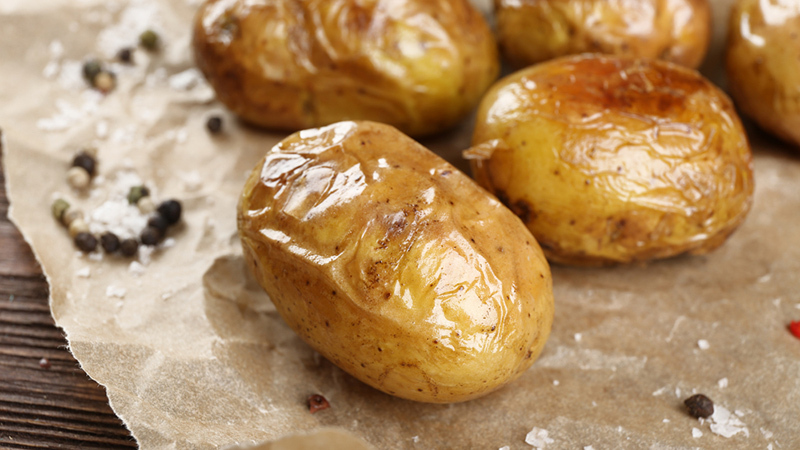 Potatoes are a good source of potassium, vitamin B6, vitamin C, fiber, and many other minerals and nutrients. Get the recipe for this flavourful, delicious side dish. 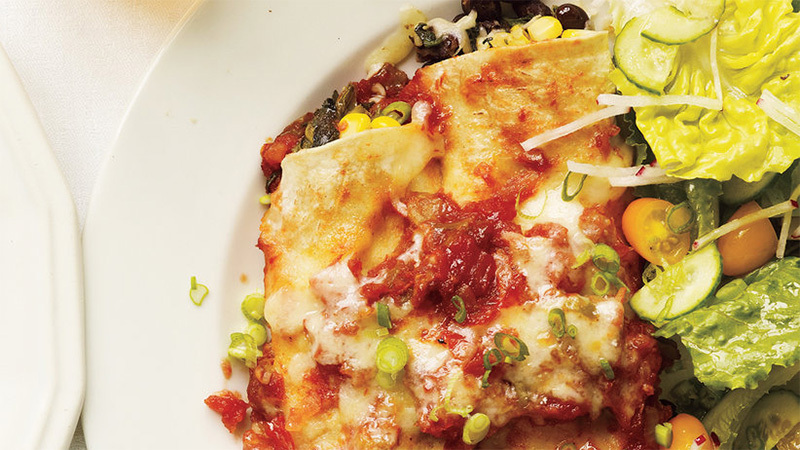 This Mexican chili enchilada recipe from Real Simple is a good source of protein and fiber from the black beans. Spinach helps fill you up without the added calories, while adding vitamins A and K. Use sharp cheddar cheese to maximize flavour, and serve this spicy recipe on corn tortillas, topped with your favorite add-ons, like low-fat sour cream and jalapeños. Then pair with a salad for a complete meal. Nothing warms our insides on a cool fall day like a bowl of steamy soup, and this veggie slow cooker recipe from SkinnyTaste hits the spot. It’s chock-full of nutrient-packed veggies, like spinach, carrots and celery. 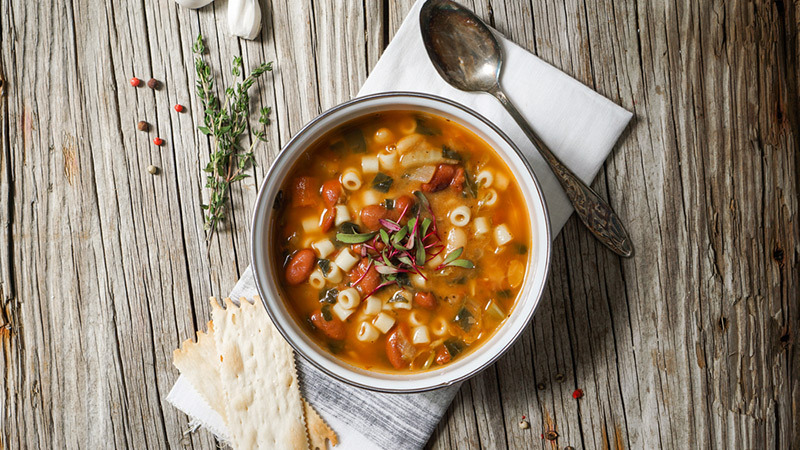 Portion out the leftovers in single-serving containers and have this soup as part of your lunch this week or freeze it to save it for a day when you don’t want to cook. 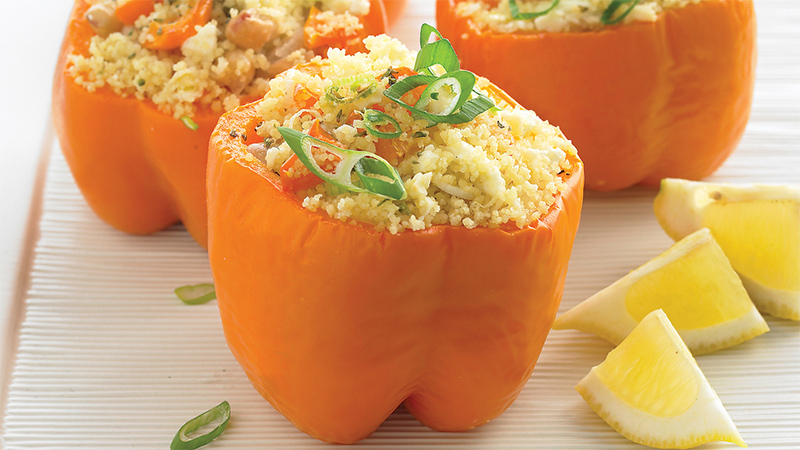 If you’re an omnivore, you may have already made our meat version of slow cooker stuffed peppers, but this recipe from Martha Stewart packs vitamin C rich peppers with couscous and beans to fill you up without filling you out. We like that Martha’s version is Greek and uses traditional ingredients like feta cheese and lemon wedges to drizzle on for more flavor. We love this Italian vegetarian slow cooker recipe for a comfort-food meal that’s so tasty, you won’t even notice it’s meatless! This EatingWell recipe maximizes your time because you start with raw veggies, and dinner can be ready in under three hours if you cook it on a high setting. 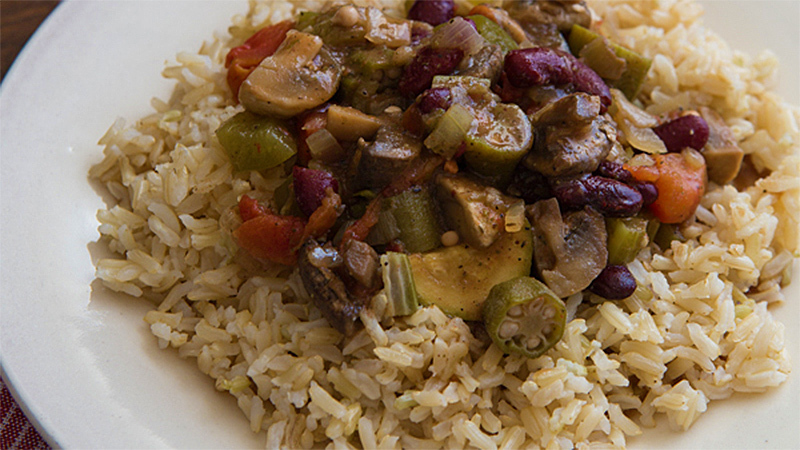 While traditional gumbo is often made with spicy Andouille sausage, this veggie gumbo recipe on OhMyVeggies.com gets its heat from Cajun seasoning and hot sauce. Low-calorie veggies like zucchini, mushrooms, okra and bell peppers will fill you up, while beans provide a dose of protein. If you’re truly missing the meat in your gumbo, recipe creator Kiersten Frase suggests adding meatless sausage, like Field Roast’s Mexican Chipotle Sausage sliced up and tossed on top when the gumbo has finished cooking. Craving Indian food? This vegetarian slow cooker recipe is great to eat as a post-recovery meal after you’re done working out. 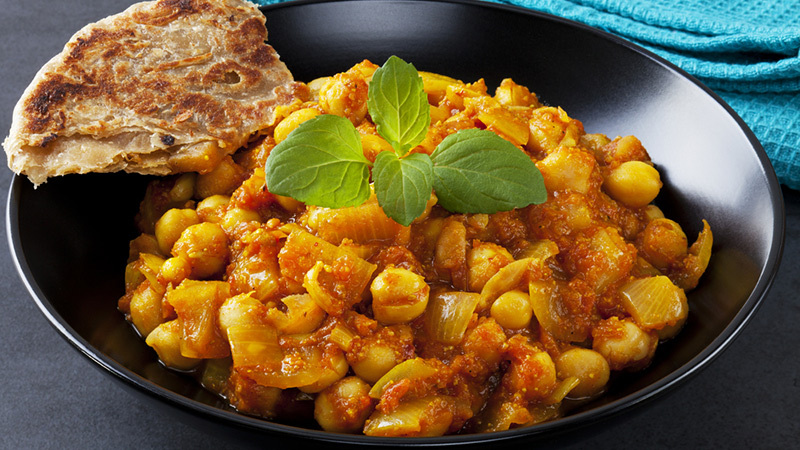 Chickpeas provide protein and your tastebuds will wake up with the fiery spices. Serve with a side of rice and naan bread. Slow cooker chili is a must-do recipe for fall. Our vegetarian slow cooker chili recipe is a muscle-building one that’s packed with beans, jalapenos, and couscous. Make it for a tailgate or serve with whole grain tortilla chips, low-fat sour cream, and shredded cheddar cheese as an appetizer. Now that you’re armed with an arsenal of veggie slow cooker recipes, the hard part is going to be deciding which one to make first! You’ll fall in love with the convenience of tossing a few ingredients into your slow cooker, then coming home to a fragrant kitchen and dinner that’s ready to eat.